Chances are that you are familiar with Facebook. You likely use it regularly, even daily, to connect with family and friends. However, once you are a business owner, the game changes a little bit. 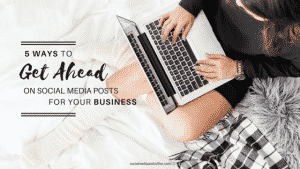 For someone just starting their business’s social media, you need to understand the difference between Facebook PAGES and PROFILES, so that you know what to set up and use to market your business. I’m going to break it down and answer some commonly asked questions on the topic. 1. What exactly is a Facebook PROFILE? A Facebook profile is what you personally use to connect with friend and family. You can add “friends” and send friend requests in order to connect with the people with whom you choose. You can upload photos, video and share about your life on a profile. 2. How does this differ from a Facebook PAGE? Facebook pages are used by businesses or companies. This is the place where you can do marketing for your brand and interact with people about your products. People “Like” your page in order to regularly see your content. 3. Why should my business use a Facebook PAGE instead of a PROFILE? This one is simple. You should use a PAGE because marketing your brand on a Facebook Profile is against Facebook’s terms of service and they can pull your profile down if you do. 4. Why should my business be on Facebook in the first place? Because this is WHERE your audience likely is anyway! If they are already there, having a conversation, simply join them in that conversation and be a part of their lives. People buy from brands they are in relationship with, and that starts on Facebook nowadays. Also, Facebook’s powerhouse of analytics and reports allow you to know your fans extremely well. You can use this information to “speak” well to them, and also figure out what your target audience should be. It takes the guess-work out of finding your crowd – the analytics show you exactly who they are. Some of the many insights you can see include details on the people who like your business page – from their age, gender and location, even when they are typically online! This is tremendously powerful information as you start to market your brand. It’s like a cheat sheet right in front of you of what your customers are like! Also, businesses can pay for sponsored posts and ads through their Facebook pages. 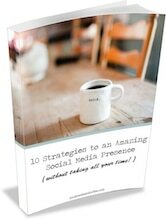 This allows your business to have increased visibility on Facebook with the audience that you target and choose. 5. How should I get my business started on Facebook? What do you want your tone to be? What kind of graphics and look do you want? What are your goals on your Facebook page? Who are you trying to attract to your page? Then you are ready to set up your new business page! Make sure you take some time to build out your page well. Fill in all the little detail fields. Post some great photos with descriptions. For some help on writing the best Facebook content, head to this article here.